DESIGN OUR HEADER FOR US!! 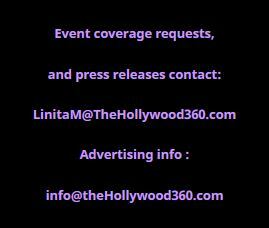 Every month we will be accepting your original Hollywood 360 header artwork to be used as our site header and on our social media platforms. We will choose one of the submissions each month. The chosen submission will also get some love from us with a small feature about the artist on our site. All submissions must be received by the 22nd of each month to be considered for the following month.